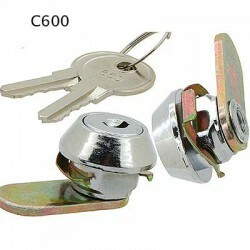 Miniature cam locks There are 8 products. 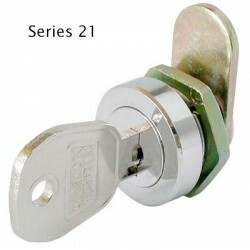 A 15.9mm miniature size 4 disc tumbler lock in die-cast zinc alloy for use in applications where space is at a premium. Supplied with a 25mm flat cam, measured from the centre of the fixing hole to the tip of the cam. 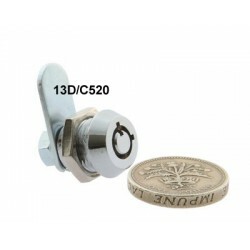 A 4 pin radial pin tumbler camlock offering full functionality but in ultra compact proportions. Supplied keyed alike with a 25mm flat cam, measured from the centre of the fixing hole to the tip of the cam. A 4 pin radial pin tumbler camlock offering full functionality but in ultra compact proportions. Supplied keyed to differ with a 25mm flat cam, measured from the centre of the fixing hole to the tip of the cam. 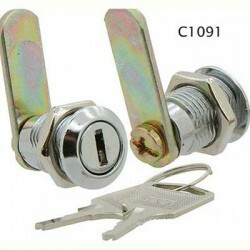 A 3 disc cam lock produced for use in space-critical applications requiring a speed clip fixing and low security.